Tech’s recent surge in popularity has shown itself in numbers. 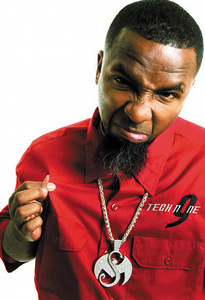 Just recently Tech N9ne’s Facebook page passed the 500,000 mark and is growing at an exponential rate. Finally, it’s starting to look like hip hop’s best-kept-secret won’t be a secret for long. Be sure to read Strange Music Blog contributor Victor Sandoval’s take on Tech’s recent newfound burst of popularity.